A versatile fish, sustainably sourced off the prestine, clean waters of Tasmania, it is high in protein, rich in Omega-3, packed with essential vitamins and minerals. Tasmanian Atlantic salmon can be purchased in portions with the skin on or off, as well as smoked slices and cutlets. Tasmanian Atlantic Salmon will stand up to the rigours of frying, grilling and roasting, which means itâ€™s idea for using in all styles of dishes form gourmet pastas to quick stir fries, soups, curries and raw dishes like sushi and sashimi. Due to its rich flavour, striking colour and excellent texture, Tasmanian Atlantic Salmon is widely used for mousseline, terrines and finfish pÃ¢tÃ©s, roulades, or as a filling or stuffing for white finfish and seafood lasagnes. Atlantic salmon is a non-native species farmed in Tasmanian waters. 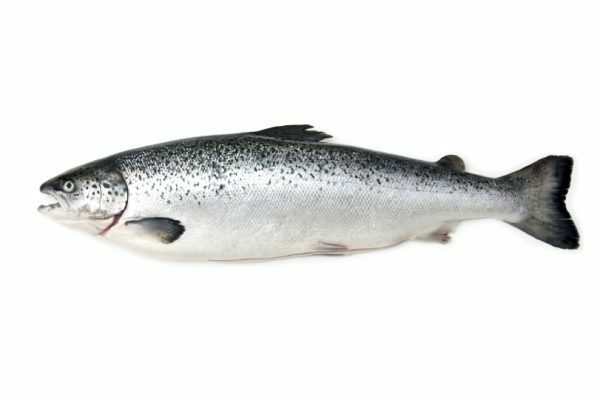 In 2012, farmed Atlantic salmon became the highest value and volume fisheries product from Australia, with nearly 44,000 tonnes produced in 2011-12. In recent years Atlantic salmon producers in Tasmania have made significant progress in addressing environmental concerns. Public reporting by companies involved in salmon production has improved, giving the public better access to and understanding of farming operations. They have also been proactive in identifying and taking action on issues that could impact the environment.